It didn't take me long to find a good flat white in the heart of London. 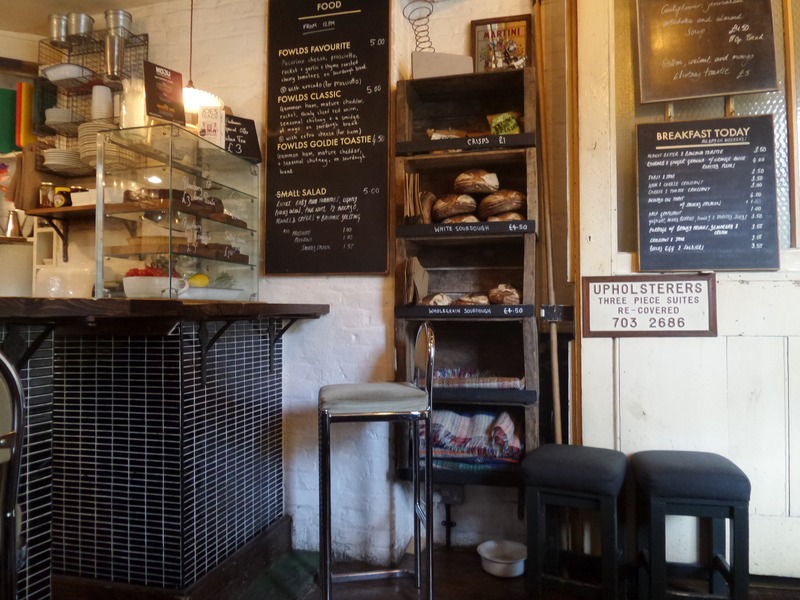 Of course there are thousands of cafes to choose from but in the 'not yet gentrified' part of south east London of Camberwell, you still have to be directed by a local. Of course Wellingtonian's Andrew and Letisha had sussed out Fowlds the moment they moved into the area and I'm pleased that was one of the first set of directions I was given on my first day of sight seeing in the big smoke. 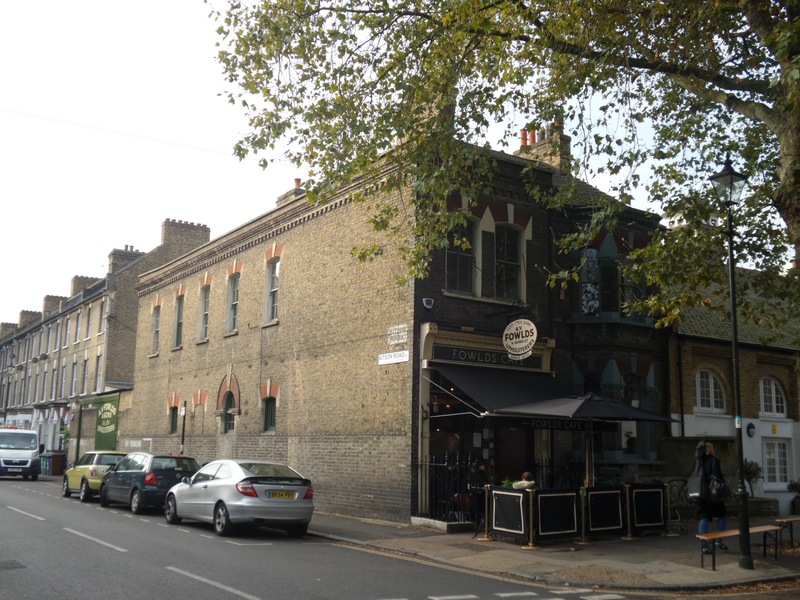 Across the green of Burgess Park, Fowlds is located in just another very quaint and old brick terrace building (aren't they all). Off the main thoroughfare, it appears to be a haunt for the locals who are greeted with familiarity by the friendly barrista and wait staff. Surrounded by terrace houses of the upwardly mobile, just a block away is Camberwell Estate and home of the working class. 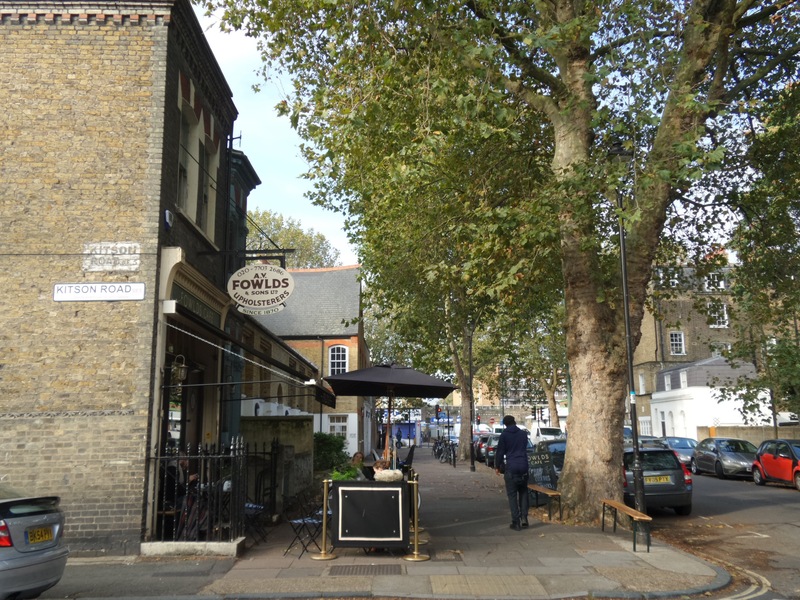 In splendid isolation, Fowlds seems to be doing a roaring trade, but that's not hard in London where people exist in the millions; working, walking and waking, elbow to elbow in a city which simply oozes people. It doesn't seem to matter whether its day or night, mid morning or peak traffic, you're hard pressed to be alone in this thronging city. A good flat white then is welcomed when you need to take a seat, rest and gather your thoughts before your next adventure. Just another day in London. Loving it. Original generation time 1.0014 seconds. Cache Loaded in: 0.0365 seconds.